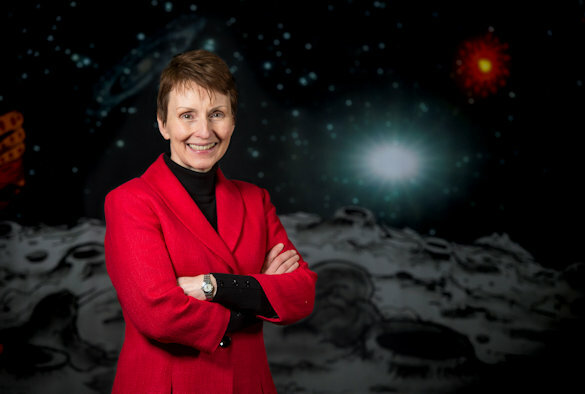 Selected from 13,000 applicants, Helen Sharman launched into space 28 years ago. After the expedition, Helen became a science communicator and corporate speaker, winning numerous prizes for radio and TV programmes and for her inspirational talks on teamwork, STEM, science communication and motivation. She was awarded the OBE in 1993. In the New Year Honours List of 2018, she was further awarded a rare and special honour, being made a Companion of the Order of St Michael and St George (CMG) for services to Science and Technology Educational Outreach. 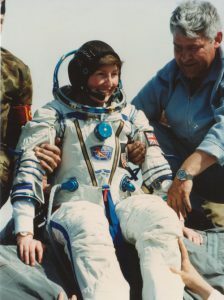 Helen Sharman returning from Mir Space Station in 1991. 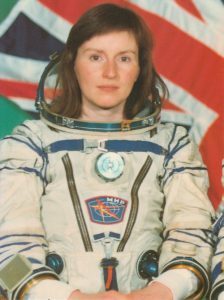 Out of This World – Taking place on Sunday, 2 June from 6.30pm, Helen will talk about her experience of space travel and the intense preparation that went into her launching into the history books in May 1991. She will touch upon the meticulous training and preparation as well as reflecting on the importance of teamwork, leadership, communication and motivation. Helen will also take part in a question and answer session. Tickets cost £12 for adults and £10 for under 16s (over 10s only) plus £1 booking fee. How to be an astronaut – This is a private event aimed at school pupils from Year 6 and above. During this session, Helen will focus on the wonder of science, talking about her eight days spent orbiting the earth and her time living and working on the MIR Space Station. Any schools interested should visit www.theriverfestival.co.uk. Tickets will be £5 per student and teachers go free with every ten pupils. Additional staff/adult tickets will be £8 per person. There will be £1 booking fee per ticket. Previously, it was announced that Luke Jerram’s installation Gaia is coming to Liverpool as part of the festival’s creative programme. The artwork will be on public display from Saturday 25 May and a series of events will be programmed to take place under the earth until Sunday 2 June. For more information on the events or to buy tickets visit www.theriverfestival.co.uk. The events also forms part of Liverpool’s Rise programme which celebrates extraordinary women. Find out more at www.riseliverpool.co.uk, follow @Rise_Liverpool on Twitter and Instagram and use #RISEwithUS.